Muscle tonus, or resting tension of the muscles, is a phenomenon classified as the sense of unconscious. It is a traction stretch. It is the main factor in controlling the position of the body. It performs an analogous function here – to the lines that stretch the tent. For example, the lightness of the latissimus dorsi muscles causes a slight stretching of the chest muscles, which initiates their light reflex tension – and vice versa. And in this way – we maintain an upright posture, without the need to participate in our will. There are two types of sensory receptors in the muscles that are sensitive to stretching – the neuromuscular spindle and the Golgi tendon system. Spindles occur between muscle cells. The spindle is formed by several muscle cells with a slightly different structure than ordinary muscle cells, entwined with sensory nerve endings. Golgi tendon organs occur on the border between the bundles of muscle cells and tendons. It is composed of numerous nerve endings of sensory fibers, arranged between collagen and muscle fibers. Stretching the muscle stimulates the formation of impulses at the ends of the sensory nerves of both of these creations that now run to the spinal cord. In the spinal cord – this impulse is transmitted to motor neurons (motoneurons), which direct it – back to the muscles, stimulating the contraction of a certain number of muscle fibers. This is how the resting tone, or muscle tone, is born. The most important role in the creation of muscular tonus is played by the Golgi tendinitis. In the spinal cord, the sensory fibers of this organ do not transmit the signal to the motor neurons directly, only through additional nerve cells – the so-called mediating neurons. Sensory nerve impulses, running from the muscle to the spinal cord, stimulate the mediators to secrete the inhibitory relay – glycine. 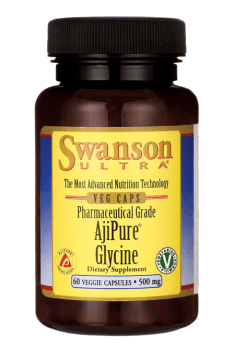 Glycine suppresses the strength of the pulse transmitted to the motor neuron, negatively regulating the skeletal muscle resting tension. The spindle nerve-muscle spindles are transmitted slightly differently by sensory fibers, which directly stimulate motor neurons, through the appropriate chemical connection – synapse. The relay of this impulse, but strengthening, is another amino acid – glutamic acid. The impulse flowing through the motor neuron – from the spinal cord to the skeletal muscles – is transferred to the muscle cells by acetylcholine, secreted by the end of motoneurons to the neuromuscular junction (synapse), generally called the motor plate. It is therefore an identical mechanism of signal transmission, as in the case of conscious conscious movements. Acetylcholine therefore regulates positive resting tension. I am writing this because the two relays – glycine and acetylcholine – are the most important in the context of pharmacological interventions, in muscular tonus. The high muscular tonus shapes the figure and gives the impression of body firmness. No wonder everyone wants us to be tall. Hence also the colleagues’ questions about ways to increase the resting tension. To improve muscular tonus occurs mainly under the influence of so-called heavy-weight training, where few repetitions are performed in a series, with heavy weights. Particularly important here is controlled lowering of large weights, therefore – eccentric exercises are also effective, consisting of a controlled lowering of weight, and exercises with stopping the weight in different phases of movement. Isometric exercises, consisting of just flexing muscles. We can strengthen the final training effect by stretching the muscles after exercising. Let us remind you that tonus is a tensile reflex. However, most of you would like to find, in addition to the training methodology, some ways to increase resting tension – based on the use of pharmacological agents, dietary supplements or a proper nutrition model. Over the decades – pharmacology has learned many compounds that increase muscle tonus. Most of them, however, are very strong poisons or very strong drugs – dangerous to health and life, so it is also irrelevant to body shaping. The most effective and surest means to increase muscle tonus was formerly strychnine; today only of historical significance, formerly used by athletes. I still remember the national Asconerin, which – along with strychnine – contained vitamin C and B1, recommended mainly in convalescence after diseases. However, strychnine was withdrawn from the market due to the small difference between the toxic (and lethal) dose and the therapeutic dose. Strychnine limited (at higher doses – abolished) the inhibitory effect of glycine on the transmission of signals from sensory fibers to motor neurons, strengthening the reflex to stretch and increasing muscle tonus. But even today we are not completely helpless about the possibility of influencing this signaling system … Even in the first half of the last century, it was observed that, similarly to strychnine, although much weaker and completely safe, it works in very high doses – surprisingly! – just the glycine itself. Today, we already know that high concentration of the messenger in the synapse leads to desensitization of its receptors and limits its effectiveness. We also know that glutamatergic receptors, which strengthen impulses in motor neurons, are activated not only by glutamic acid, but also by … glycine. So in affecting the conductivity in the spinal cord – glycine reveals to us its dual, inhibitory-strengthening face; a lot depends here on its concentration. Glycine is also a precursor to creatine, which also contributes to the formation of muscle tonus, and more – in a moment. In the treatment of muscular diseases with weakness of resting tension, glycine was used, with good results, at a dose of about 15 g per day. However, since the free form of this amino acid was difficult, it was replaced with hundred-gram portions of gelatin, built in the predominance of glycine. However, in these doses – gelatin can reduce the laxative effect, because it is slowly digested and poorly absorbed. 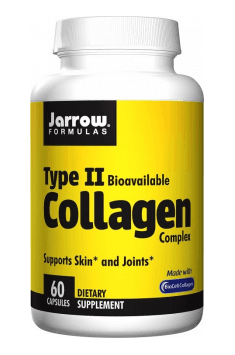 Collagen hydrolysates can be used here – eg Collagen. Because their bioavailability is on average 4 times better than gelatin, theoretically enough here would be a dose – about 20 grams per day. Unfortunately – glutamic acid can not be used here. In the old days there were such attempts, where glutamic acid even functioned as a drug – in pharmacies. However, it was withdrawn from the pharmaceutical market, because its high doses were destructive to nerve cells. It remained only in popular spices, reinforcing the taste of dishes, in the form of monosodium glutamate. However, we also have to use it in moderation – already due to the harmful activity of high glutamate portions, this is already the negative effect of sodium on muscle tonus (more on that in a moment).